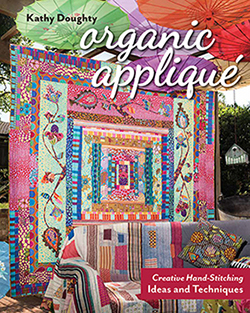 As a quilter, it never ceases to amaze me that there is so much to learn. Each step from selecting fabric to setting seams has layers of understanding that enrich the process. 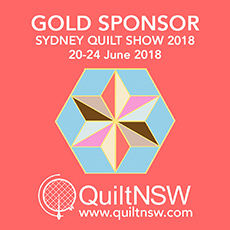 I am fascinated that even after 24 years of obsessed quilting I still feel like there is a lot I need to learn and that that fact is exciting! How seams work, how colors interact, how pattern can be used, how line becomes shape and shape form all act together to create a process that is ever evolving. There are many ways to advance our skills. For many years my main method of learning was to experiment. I looked at photographs and tried to recreate what I could see....the important part of that is what I "could" see. Each time I started on a recreation path I ended up someplace unfamiliar...some place new. My work rarely, if ever looked like what I was modeling. In my enthusiastic, fast paced, energetic making, I never stop to care if the origin resembles the result. When I think of the influences of my quilting life I immediately think of Gwen Marsden. Her twist on tradition opened a path of design discovery for me. But even before her there was Denyse Schmidt. Ever since I discovered her in the pages of Martha Steward I have kept a keen on for what she does. I often refer to the straight hair/curly hair syndrome...you know it. If you have curly hair you want it straight and vice versa. So, I am really excited about presenting Denyse Schmidt on her maiden voyage to Australia. We have all waited a long time for this moment. Others have come and gone but for me, this is a moment we have waited for with intent. My straight hair issue is busy. Literally and figuratively I am busy. My quilts are busy...full of patterns, twists and turns, pattern on pattern. What I want is to stream line them but it rarely happens. When I look at the work of Denyse I see where I want to go. I want to learn to be more straight forward in my line and simple in my path to a destination. Don't get me wrong, I love what I do but there is always a niggling idea that I can be better. Take this quilt, so simply beautiful...seen here in Anna Maria's house because she loved it so much she bought! Jealous! There are so many examples in her work that exemplify an innate sense of structure and purpose. Take this one. The scale,placement and soothing combination of bright colors says so much about destiny to me. And really, where would modern quilting be without this style of pattern that she developed so long ago? Those of us with a view to keeping tradition alive with contemporary fabrics and tools owe Denyse a lot for breaking ground for us. 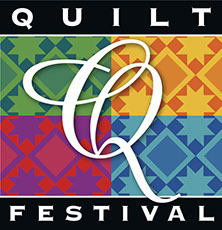 Drunk Love and quilts made of this ilk really broke the mold. Working in Improvisational flow is on offer on Sunday. We will be providing bags of fabric for this intuitive process. Free Wheeling Single Girl our Saturday offering. I love everything about this quilt. I love that Single Girl has a new meaning in today's society. I love how it transforms the traditional Wedding Ring pattern to be something we can all live with today. It is in spirit and in textile a joy to be hold! On Friday we are offering the Between the Lines quilt. At first glance this may appear to be simple but it unfolds secondary patterns that are a delight. Then what about palette? How do we control a palette. I have my ways but would they be better? For many years, even over a decade, I have found that her fabric ranges have always connected me to a place of memory. For example, my Sunburst quilt took me to my beautiful grandmother's home. For some reason, when I looked at this range with it's perfect value and prints scales I was transported to my childhood where I would most likely be standing and watching people interact. For some reason, when I look at this quilt I feel my grandmother standing over my shoulder with a confident graceful love for me. Without words she seemed to understand me. Weird, isn't it? That a textile can transport us to a place and a feeling of comfort? Then there was Fairlawn, named for the street we lived on in Akron, Ohio while I was in high school. The colors in this range, Hope Valley were a reminder of my mothers incredible decorating taste. Our house in Ohio was filled with these colors and I felt as I made this quilt that I was channeling my mother into each stitch. We moved a lot and each house was a challenge for her to decorate. Over the years she developed a flair for combining colors, textures, print and accessories to make our home beautiful. So when Denyse comes to town in September I want to listen, absorb and really understand how her choices are made. How we trim back and define the line in the project. I want to connect to the soul of the process. I want to study her consideration. Having met Denyse in the past I am always surprised at her gentle nature for one with so much talent. Denyse Schmidt details for the website are available here. I'd also like to say we at Material Obsession are really excited to be holding these workshops at The Happenstore. The space is magnetic. Every time I go there I just want to stay. In addition, we are excited to be having the event catered by rising star caterers Rukus. Good food, good space, good teacher...what more could you want? Great post! I wish I could be a fly on the wall when she comes. Enjoy! I'm glad you love what you do because I do too! 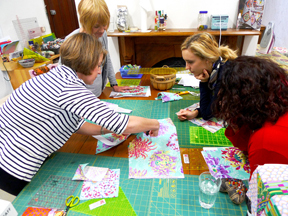 Busy quilts using the unexpected colours and prints that you put together is unbelievably inspiring and motivating. What you do is what I always wanted to do but didn't know how to go about it. It will be interesting to see how you interpret what Denyse offers up in her workshop.